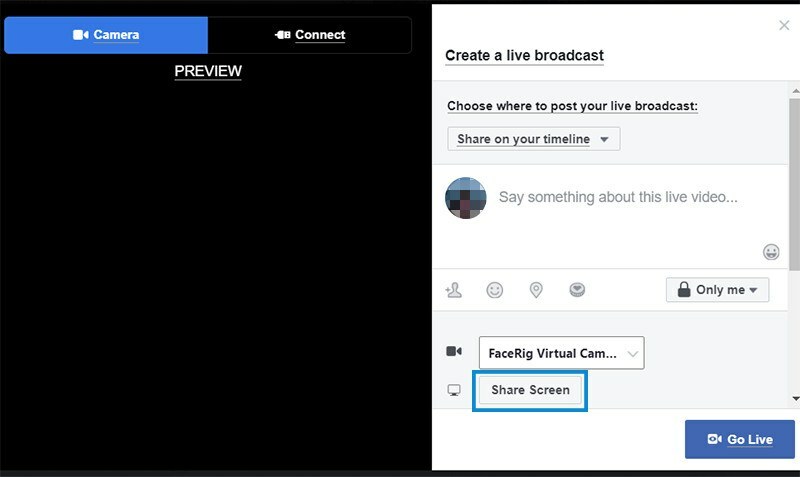 Facebook always seems to be adding more features, but one of the more useful ones to come out in the last year is probably the ability to use it for live screen sharing. 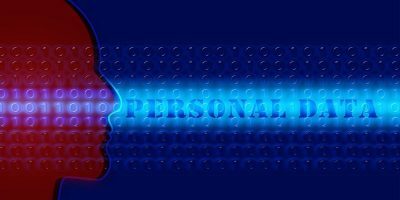 There has always been some demand for this service, and previously there were several third-party apps that allowed you to do it. 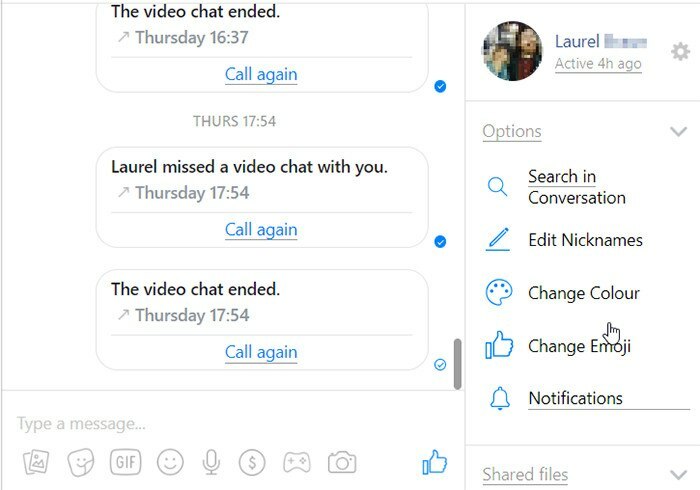 Now, though, it’s built into Facebook Live and Facebook Messenger, and while it’s not exactly professional-grade software and only works in Google Chrome, it gets the job done pretty well. This is about as simple as it gets. There’s nothing to install, just a button to click. 1. Make sure you’re using Facebook in Google Chrome (it won’t work in any other browsers). 2. 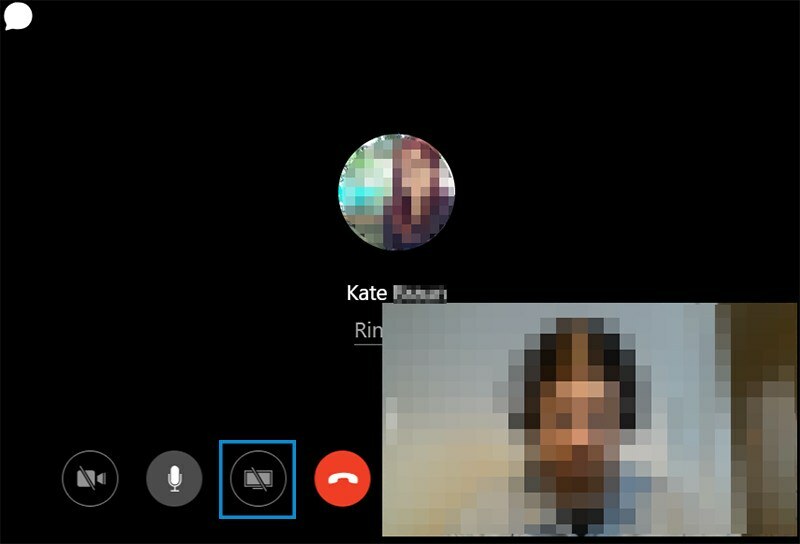 Find the contact or conversation you want to share your screen with and start a video call. 3. 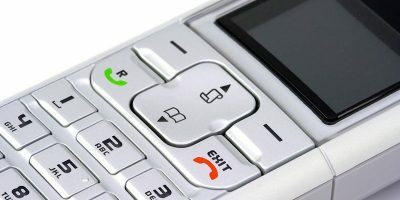 Click the screen share button on the bottom of the call. This is a bit more complex, but not much. As before, ensure you’re on Google Chrome, as the built-in screen sharing won’t work with other browsers. 1. Click the “Live Video” button on your Facebook post. 2. On the screen that comes up, find the “Screen Share” button between the camera selection menu and the sound input selection menu. 3. 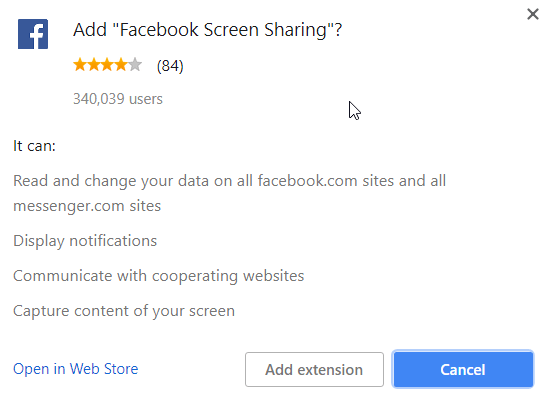 You’ll be prompted to install the “Facebook Screen Sharing” Chrome extension. 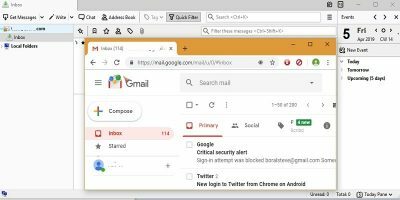 It’s a small extension and should install quickly with no browser restart required. 4. Once the extension is installed, click the “Share Screen” button again. 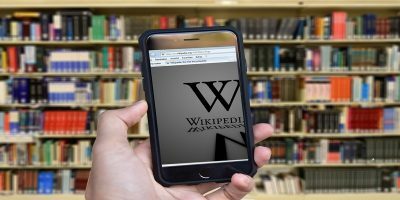 You’ll then be prompted to choose what you want to share – your entire screen, a single application window (any application that’s currently open), or a Chrome tab. If you want to share an application window and it’s not showing up in the list, maximize it and go back to the screen share menu. It should appear. 5. If you want to change what you’re sharing, you’ll have to stop screen-sharing and start it again with your new selection. 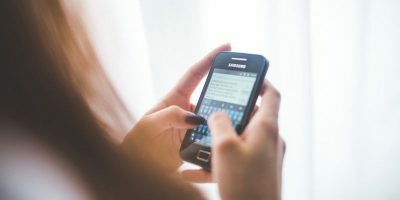 If you’re looking for more features, like sharing multiple application windows or having your face in a corner of the screen alongside your screen share, you’ll want to connect your own streaming software to Facebook. OBS, XSplit, Bebo, or any other streaming software should work fine. This is actually a very simple process, and Facebook walks you through it. 1. 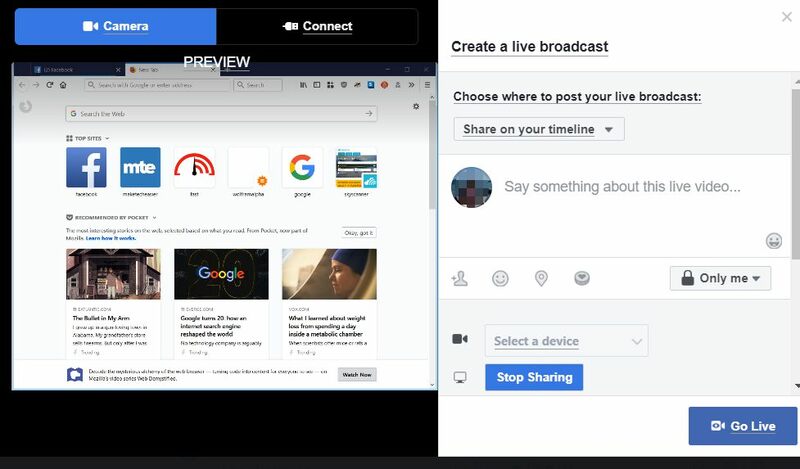 Open Live Video and go to the “Connect” tab on top. 2. Open your streaming software and find where you can enter stream keys. 3. You can choose to use a secure connection (never a bad idea) or a persistent streaming key (using the same key every time you go live so you don’t have to enter a new one into your software every time). 4. 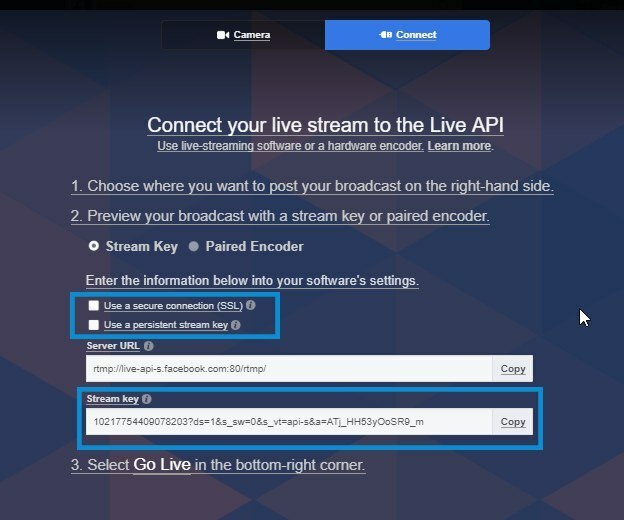 Make sure your software is set up for Facebook Live, and enter the stream key that Facebook gives you. 4. Start streaming from your software with whatever settings you like! 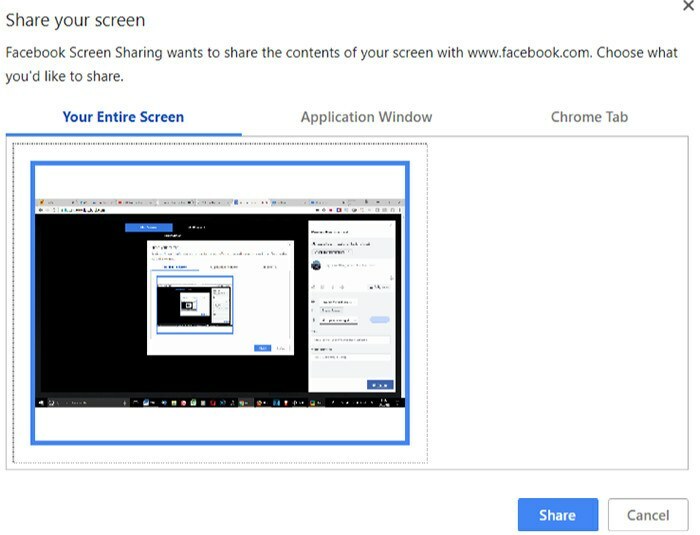 If you just need to do a quick screen share for a meeting or to help someone fix their computer, Facebook’s screen share feature will be fine, as long as you’re okay with using Chrome. If you need something fancy, like effects, extra windows, transitions between screens, or anything like that, you’ll be better off using a more full-featured screen-sharing software, but unless you’re trying to get into pro streaming, Facebook’s tools are fine.